​New York Japanese culinary institution, Sushi Zen, will be holding a very special Kaiseki lunch and dinner series led by their new Executive Kitchen Chef Takahasi Yamamoto. The former private chef for the Japanese Consulate, Chef Yamamoto will be debuting his talents to the public as he takes over as the new Executive Chef at Sushi Zen. This special event also marks the first time in the restaurant’s 33-year history that the sushi bar will be closed and full reigns will be handed over to kitchen. ​From Aug. 24th – Sept. 4th, Chef Yamamoto will share his​ interpretation of the traditional Kaiseki style, in which he has very different goals for the lunch and dinner sessions. For lunch, Chef created an experience that caters to hustling New Yorkers and bustling tourists by giving an abbreviated version of the dinner series focused on the balance of the story and the ideal nourishment of the body. Dinner is the full journey and exploration of Chef’s vision of his life experiences and interpretation of the modern Kaiseki style. Guests can expect dishes, flavors, ingredients and colors that celebrate the brief moment each year when Summer transitions into Fall. 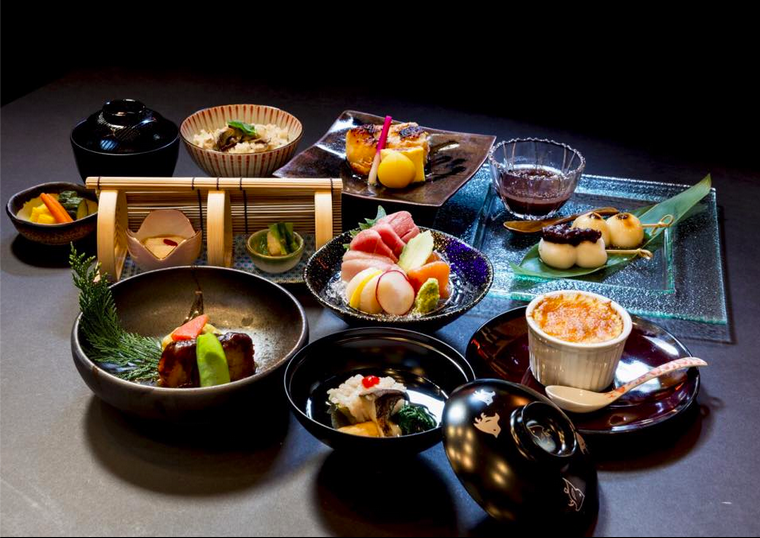 Several enhancements to the Kaiseki experience will be available to elevate the journey, including a specially curated sake pairing ($65), premium imported Japanese Wagyu Beef ($58), Caviar & Fluke ($38). Both lunch and dinner service will be available with a vegetarian option. Only 40 seats will be available for each session and the regular menu will not be served to allow for the kitchen to focus on Yamamoto’s culinary expedition. Lunch ($45) seatings will be from 12pm to 2:30pm and dinner ($110) will be 5:30pm to10pm. Sushi Zen is located at 108 West 44th Street and reservations can be made by calling the restaurant directly or emailing events@sushizen-ny.com; limited walk-ins will be accommodated, as well. Tags: Chef Yamamoto, culinary, foodie, Kaiseki Style. Bookmark the permalink.